PNAM’15 prize for wood architecture was given out for the third consecutive time in Palácio do Bolhão, in Porto Portugal. The prize is organized by a Portuguese Architecture College and the Portuguese Wood Industries Association. It showcases wood architecture from the past two years. 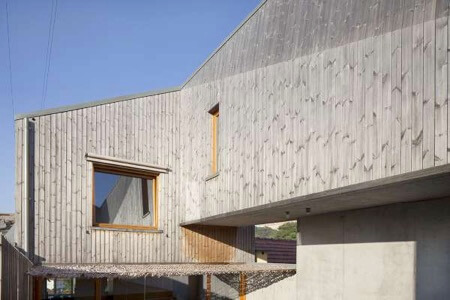 The aim of this prize is to bring out the benefits of wood as a building material as well as to raise the level of wood architecture in Portugal by showing interesting local projects. This year 42 project were chosen to take part, and the jury was happy to report the level was “rather high”. Lunawood products were used in two successful projects. 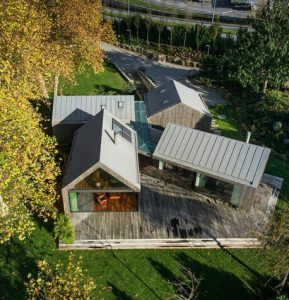 In the winner, CASA RV, designed by Marta Rocha and Fabien Vacelet, ThermoWood was used in the exterior cladding. In the other short list project The House of Four Houses by Paulo Carvalho and Susanna Correia it was also used in the interior cladding. In both projects the ThermoWood was left untreated in the exterior cladding hence the strong visual impact of the naturally weathered wood. In The House of Four Houses the interior cladding was painted over white to keep the material selection minimal while. “We’re naturally very proud that our products have been chosen for such innovative and high quality projects. Portugal is an important export country for us,” says Sami Kivistö, Sales Director at Lunawood. “The ecological Finnish heat treated wood suits the Mediterranean climate very well as it is naturally resistant to moisture and keeps its shape under changing weather conditions. We wish that such competitions further increase the awareness and appreciation for wood architecture and heat treatment,” concludes Kivistö. Lunawood congratulates the winners and participants!